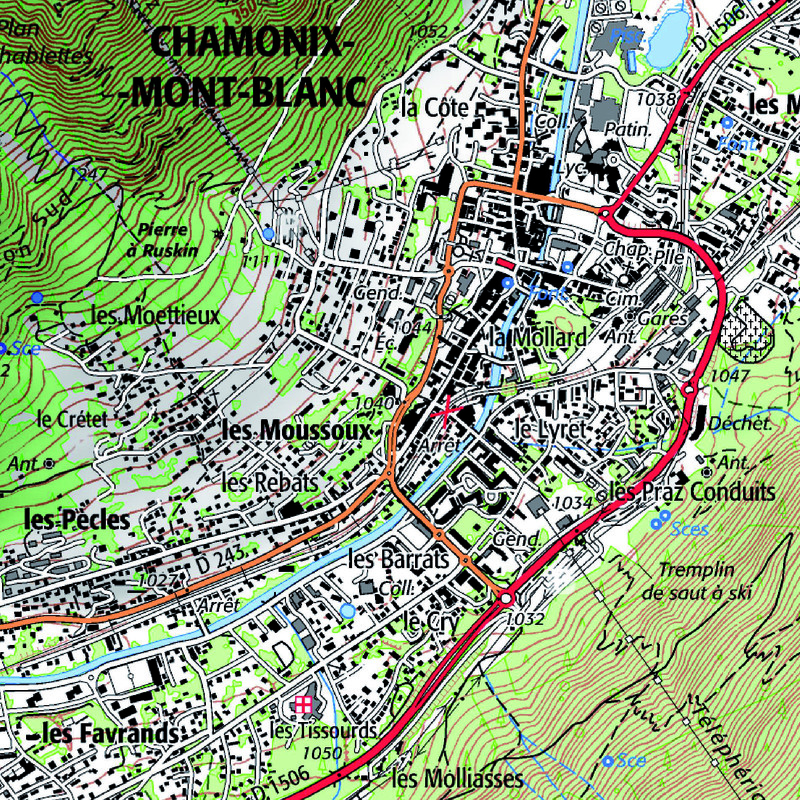 I have a client who wants to turn a topographical map of the Chamonix Valley into wallpaper. We will need a PDF file to send to the wallpaper printer. The image will be delivered as 4 x TIF files at 254DPI. Each image is 180 cm x 122 cm. The sizing of the total final image is therefore already right for the wall (The wall is 360 long x 254 high - yes is see 10 cm missing, I will take this up with the map supplier). The files are 800 MB each. It will be delivered via FTP. Modify the colouring of the file: The Kitchen is RAL6007. All greens should be modifed to be based around this green. Change the red road to a vibrant yellow, orange or gold, which is the contrast colour chosen by the client. The end result is that the map should visibly still retain its IGN look and feel and data quality. Only the colours are modifed for the decor of the house. Provide a height and distance reference from the edge of the file, to actual scale, of the location of the clients' property, so we can check it doesn't land on a door handle or something weird. Please also provide a secondary quote for rotating all the major place or range names. These would be those the size of "Argentiere" and above, I anticipate 100 of these. Please note, the final map is to be presented with Vallorcine on the LEFT and Servoz on the right, so all place names will be upside down on the original once it is hung. Reissue before changes to whole document. Collate the files so that we can issue them to the wallpaper manufacturer. I am attaching a sample of the file that we will be receiving so you can have a good look. Also attached a pdf of the whole area. Timescale: Max 1 week to delivered completed image, please say if this is completely unreasonable.